I love putting keepsake ornaments up on our Christmas tree each year. Whether they are ornaments showcasing someones hand, picture, or creativity-- each one is sentimental and special in its own way. This year we added another keepsake ornament to the tree that includes a picture and a printable containing each child's Christmas wish list. This craft reminds me of a time capsule. Instead of burying t in the backyard, it is tucked away for a year and can be opened every Christmas. I was inspired to make this keepsake ornament of each of my kiddos after digging through a bin of stuff my mom kept for me over the years. Inside I had report cards, letters, baby teeth, and a Christmas list from years ago! Minus the teeth, it was fun digging through memory lane! 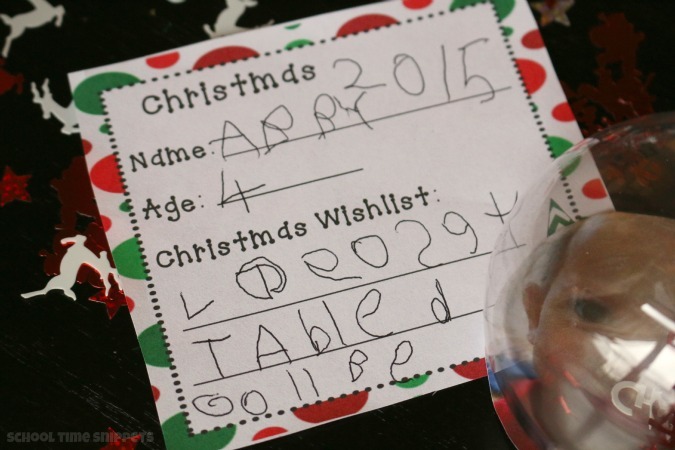 If your child is old enough, have him/her fill out the Christmas Wish list Printable with year, name, age, and wish list. Cut a photo of your child to fit the back side of the ornament. 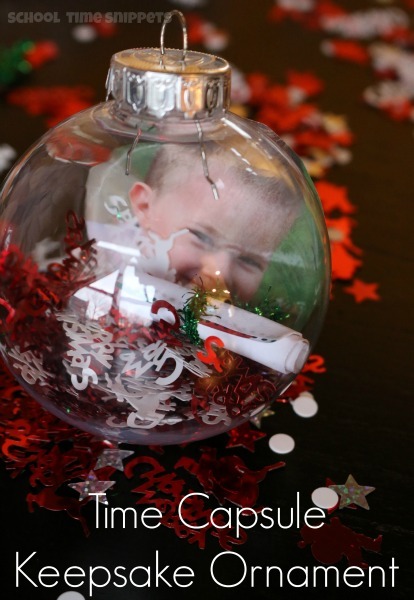 Use mod podge or glue stick to glue the photo onto the ornament. Fold the wish list in half and tie with a ribbon. Add some holiday confetti to the ornament along with the wish list. Add a hook to the ornament and you have a sweet new keepsake ornament to add to your tree this year! Such a Sweet ornament that will be cherished and proudly hung our tree every year! Get a copy of your Wish List Printable here!